or to act as collateral for financing and capital raising initiatives. 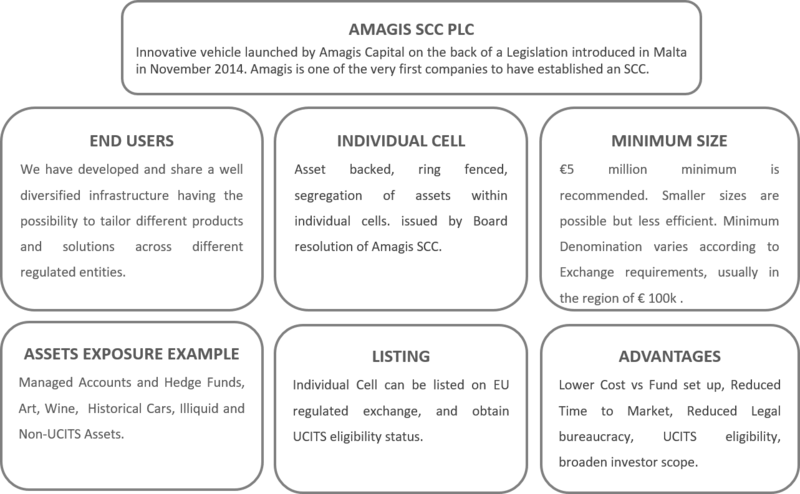 The SCC can act both as a passive vehicle as well as an actively managed instrument. Securitization cell companies are usually quicker to launch compared to funds, have lower legal costs and do not require a custodian. Cells can issue notes, whose value reflects the value of assets within cells. Issued notes can be listed on regulated exchanges thus becoming Exchange Traded Instruments.